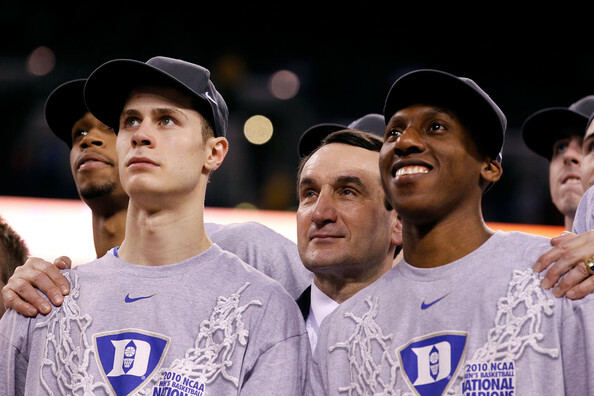 Surely, it didn’t end the way Duke seniors Kyle Singler, Nolan Smith and Casey Peters wanted it to, but when all was said and done these three Blue Devils enjoyed storied basketball careers going 125-23 over their four year stint in Durham. Singler came in from Oregon looking like another slow gangly white kid – wrong again. Well, he is white. Smith was solid from day one and worked his way up to a legitimate Player of the Year candidate in 2011 and Peters, a walk-on, may have had the most fun of all three. Love ‘em or hate ‘em, the Blue Devils have earned their national prominence. 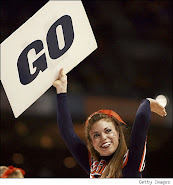 There is no disputing the impact or importance of winning the NCAA Division 1 Mens’ Basketball National Championship. Part of that record belongs to the Duke Class of 2011 as those Blue Devils racked up their share of honors. They were ACC regular season champs in 2010 and ACC tournament champions in 2009, 2010 and 2011. 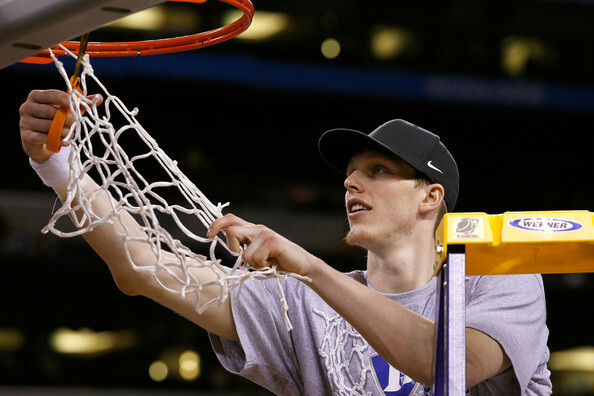 The Singler/Smith led Blue Devils played in four straight NCAA tournaments exiting from the Sweet Sixteen in 2009 and 2011, while winning it all last year. Like Tyler Hansbrough, Smith and Singler are stay-in-school poster boys. One could argue that Singler hurt his draft stock by staying around his senior year, but he and Smith demonstrated how critical upperclassmen are to championship teams. Singler started the year ranked 18th as Duke’s all-time scorer with 1,767 points and finished up his career last night with 2,392 points. That’s good enough for fourth on the all-time list behind J.J. Redick (2,769), Johnny Dawkins (2,556) and Christian Laettner (2,460). By way of perspective, behind Singler are names like Mike Giminski, Danny Ferry, Gene Banks, Jason Williams, Jon Scheyer, Shane Battier and Grant Hill to name of a few. Casey Peters is your typical Duke brainiac kid from Jersey. The 6’4” 200 lbs guard hails from Red Bank (that’s Springsteen country) and joined the team as a walk-on in July of 2009. Good timing, as the Blue Devils would cut down the nets in his first season. His efforts that year, and as a student manager in year’s prior, earned him as scholarship for the 2010-11 season. A solid high school basketball player who averaged 12.8 points, 7.1 rebounds and 6.2 assists per game in 2007, Peters turned down offers from Yale and Dartmouth to come to Durham after scoring a perfect 800 on his math SAT. Who’s surprised? Nobody, right? Peters only played a total of 25 minutes the past two years and Coack K inexplicably failed to put him in late in last night’s elimination loss to Arizona when he removed fellow seniors Smith and Singler. Peters’ younger sister Haley is a freshman on the Duke women’s basketball team making them the only brother/sister duo in the ACC.